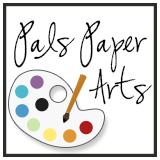 I hope you come back tomorrow for the full reveal of this week's Pals Paper Arts card! If you are looking for a wedding card idea, you won't be disappointed! Hello again from Salt Lake City! Here is one of my General Swaps. Unfortunately, I did not have the time to make as many swap cards as I wanted, but I do have a few dozen or so. For every card I give, I will get one back! I'll be able to share ideas and re-create what other talented demonstrators show me! As always, please use my Online Store to order your own Stampin' Up! any time! Very nice Patti. You are very creative and I love your cards. Take pictures of the cards you like and can't take home! ENJOy! !